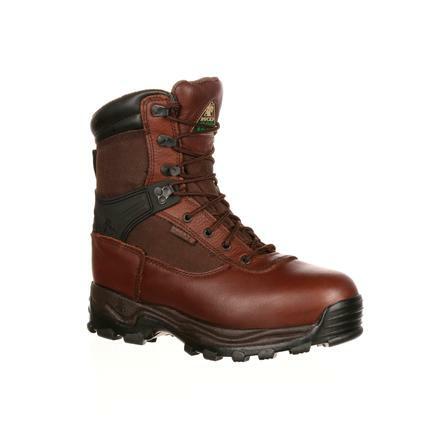 Whether you're working with passion, traversing new territory or enjoying your favorite outdoor escapade, the Rocky® Sport Utility Pro Steel Toe Waterproof Boot provides the durable protection and exceptional comfort you need to feel productive. Guaranteed Rocky Waterproof construction and 600 grams of 3M™ Thinsulate™ Ultra Insulation let you trek without worry. 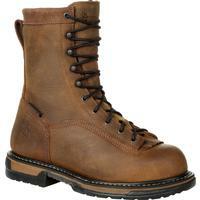 Your feet will remain warm and dry for the duration of your work day or your adventure, no doubt. 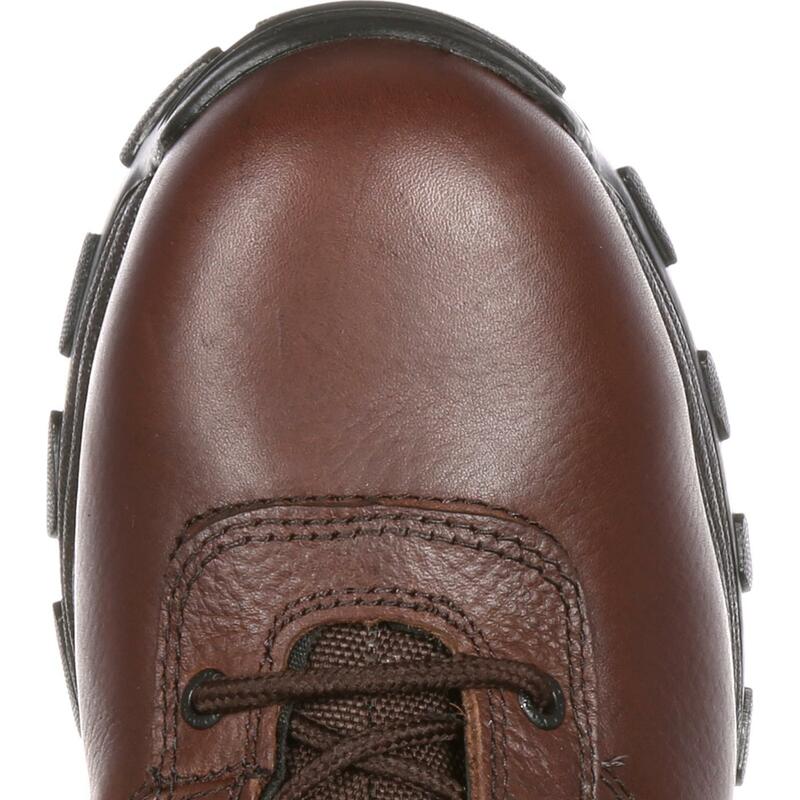 You'll enjoy each moment with footwear features you can trust. 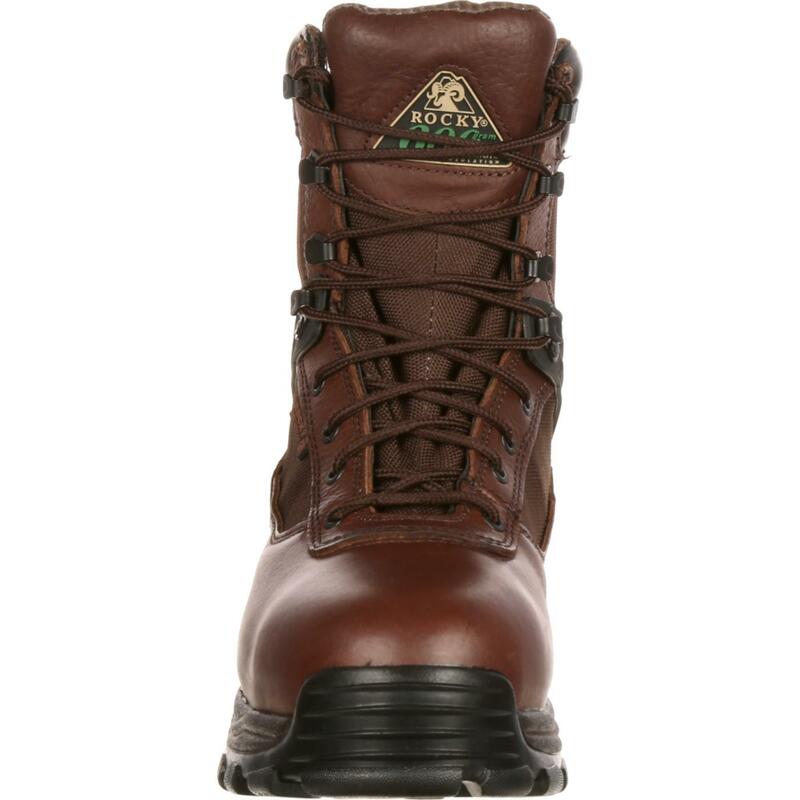 Rocky added a Sport Utility outsole to this hardy work boot, so you can feel steady and supported with every step. 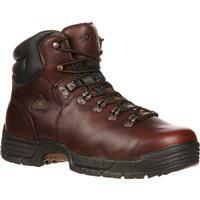 Take on challenging terrain with confidence, and rely on a sturdy steel toe for additional safety. 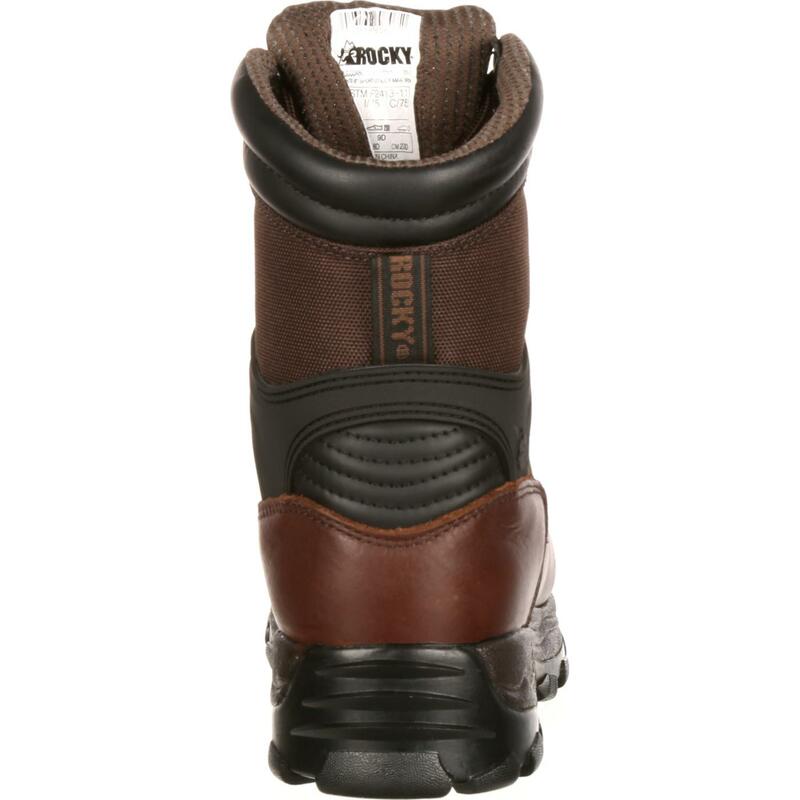 Your feet will feel fully protected, and you'll feel fully empowered in this steel toe work boot. 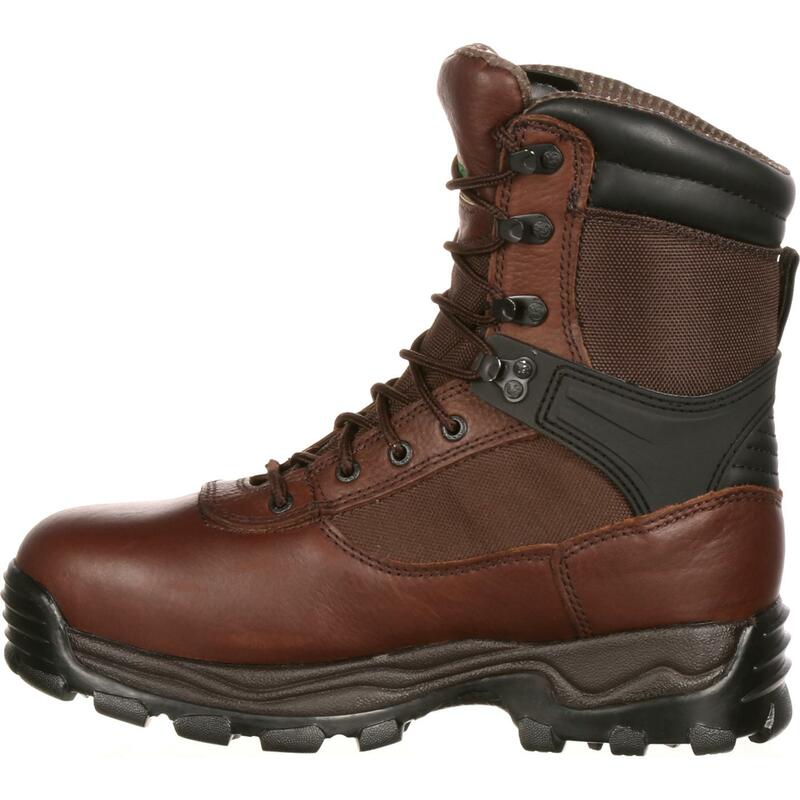 Carefully crafted of full-grain leather and nylon, this durable insulated boot will survive the test of time and the challenges of an active life. 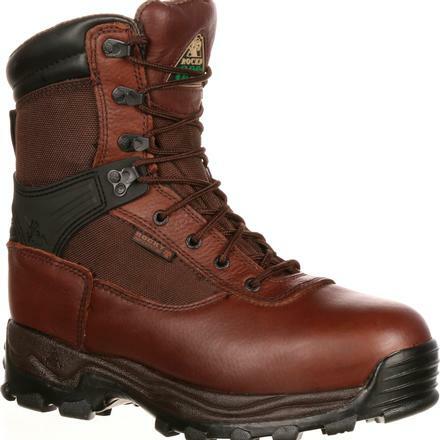 If you're searching for a steel toe men's boot built to endure your exciting life, the Rocky Sport Utility Pro Steel Waterproof Boot is sure to perform.